Chances are, by now, companies have gotten wind of the cloud -- cloud computing, cloud storage, public clouds, private clouds, you name it. In fact, many companies are using the cloud in some way or another and may not even realize it. The cloud is taking the business world by storm (pun intended). According to a 2014 report by Forrester Research, the public cloud market is estimated to reach $191 billion by 2020, a significant climb from $58 billion in 2013. Where human resources is concerned, the cloud just makes sense. Implementing a cloud-based HR system helps ease some of the stress associated with a growing business and its growing HR needs. 1. Increased mobility and flexibility. Possibly the biggest benefit of moving portions of HR to the cloud is the ability to access work-related software or information from any device, anywhere, at any time. Adopting cloud-based HR solutions empowers employees, plain and simple, by giving them more flexibility to access information. Most importantly, the self-service aspect of cloud-based HR solutions eliminates the stacks of paperwork associated with basic HR processes. Employees instantly and easily request days off, update personal information, and more from their devices. Crazy simple data entry? Yes, please. 2. Easy implementation and innovation. Say goodbye to days spent going back and forth with contractors, consultants and customer service. With cloud computing, implementation is quick and painless. Plus, thanks to open APIs, many cloud HR solutions are designed to integrate with applications already in use. This make implementation less stressful and it won’t disrupt day-to-day business. In addition to saving time and money on implementation with the cloud, cloud computing also saves time and money when it comes to innovation. Automatic system updates and upgrades make it easy for cloud-based HR software to stay cutting edge and increasingly useful. 3. Data is safe when hosted properly and diligently. Should sensitive HR data really reside on the Internet? Are the advantages worth the risks? These questions continue to plague employers who are still up in the air about cloud-based HR solutions. According to KPMG’s 2014 Cloud Survey Report, which reflects perspectives of more than 500 global business leaders, 53 percent of respondents cited data loss and privacy risks as the most significant challenges of doing business in the cloud, followed by intellectual property theft (50 percent). In fact, when it comes to selecting a cloud solution, cost has been eclipsed by security and data privacy. The security of a company’s HR data comes down to the company hosting that data. These companies will have policies and procedures in place to secure their infrastructure and data. 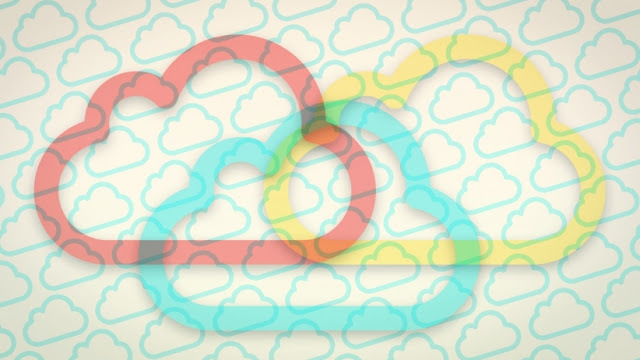 In combination with the right host, the cloud can have a secure lining. The key is to identify the threats cloud computing faces, such as a data breach or loss, and how to protect against them. Due diligence is necessary to make sure the supplier’s security is in line with the company’s. Once a secure solution is in place, the sky’s the limit when it comes to boosting HR.